Níl aon ghá le lámhleabhar – Níl le déanamh agat ach na físeáin a thaispeáint agus na ceisteanna a chur as Gaeilge . . .
Físeán "Cara . . . cad-é-sin" - Buíochas le C.O.G.G. "Cara . . cad-é-sin?" - Ceisteanna a gabhann leis - Buíochas le C.O.G.G. Físeán "Mar-is-cairde-muid" - Buíochas le C.O.G.G. "Mar-is-cairde-muid" - Ceisteanna a gabhann leis - Buíochas le C.O.G.G. Físeán "Is-mise-do-chara" - Buíochas le C.O.G.G. "Is-mise-do-chara" - Ceisteanna a gabhann leis - Buíochas le C.O.G.G. Físeán "Ná-bí-crosta" - Buíochas le C.O.G.G. "Ná-bí-crosta" - Ceisteanna a gabhann leis - Buíochas le C.O.G.G. Físeán "Ag-lorg-cairde" - Buíochas le C.O.G.G. "Ag-lorg-cairde" - Ceisteanna a gabhann leis - Buíochas le C.O.G.G. Físeán "Bí-cineálta-le-gach-duine" - Buíochas le C.O.G.G. "Bí-cineálta-le-gach-duine" - Ceisteanna - Buíochas le C.O.G.G. Físeán "Meas . . . cad é sin?" - Buíochas le C.O.G.G. "Meas . . . cad é sin?" - Ceisteanna a gabhann leis - Buíochas le C.O.G.G. Físeán "Meas . . . cad é sin? - 2" - Buíochas le C.O.G.G. "Meas . . . cad é sin? - 2" - Ceisteanna a gabhann leis - Buíochas le C.O.G.G. Físeán "Ag-réiteach-lena-chéile" - Buíochas le C.O.G.G. "Ag-réiteach-lena-chéile" - Ceisteanna - Buíochas le C.O.G.G. Físeán "Gníomh-Randamach-Cineáltas" - Buíochas le C.O.G.G. "Gníomh-Randamach-Cineáltas" - Ceisteanna - Buíochas le C.O.G.G. Físeán "Óráid-chineáltais" - Buíochas le C.O.G.G. "Óráid-chineáltais" - Ceisteanna - Buíochas le C.O.G.G. Físeán "Gníomh-cineáltais" - Buíochas le C.O.G.G. "Gníomh-cineáltais" - Ceisteanna - Buíochas le C.O.G.G. Físeán "Bí-go-deas-le-duine . . . " - Buíochas le C.O.G.G. 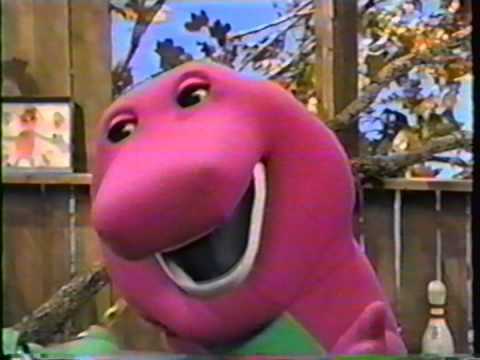 "Bí-go-deas-le-duine . . . " - Ceisteanna - Buíochas le C.O.G.G. Físeán "Bí-cabhrach . . . " - Buíochas le C.O.G.G. "Bí-cabhrach . . . " - Ceisteanna - Buíochas le C.O.G.G. Físeán "Is-rud-maith-í-an-éagsúlacht" - Buíochas le C.O.G.G. Físeán "Is-rud-maith-í-an-éagsúlacht" - Ceisteanna - Buíochas le C.O.G.G. Físeán "Cuireadh-chun-na-trá" - Buíochas le C.O.G.G. Físeán "Cuireadh-chun-na-trá" - Ceisteanna - Buíochas le C.O.G.G. 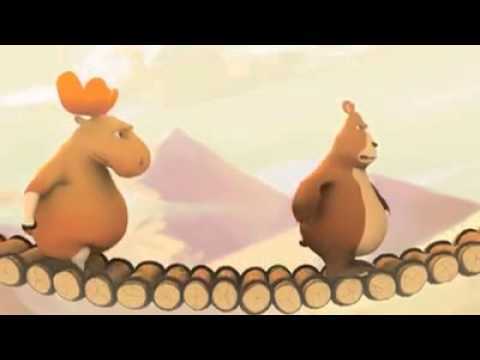 "Kindness Rhyme For Kids - You Are Amazing" – Físeán. 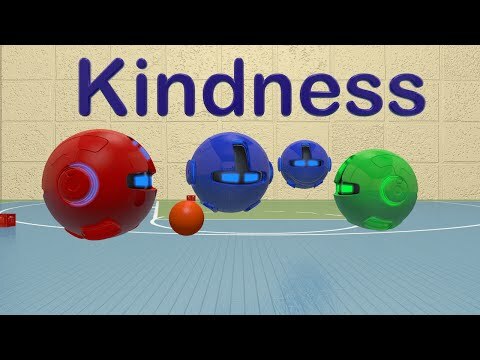 "Kindness Rhyme For Kids - You Are Amazing" – Questions in English. Please ask them as Gaeilge. "Be Responsible, Safe, Respectful Song" - Físeán. "Be Responsible, Safe, Respectful Song" – Questions in English. Please ask them as Gaeilge. "Kid's Guide - Getting Along With Classmates" - Físeán. 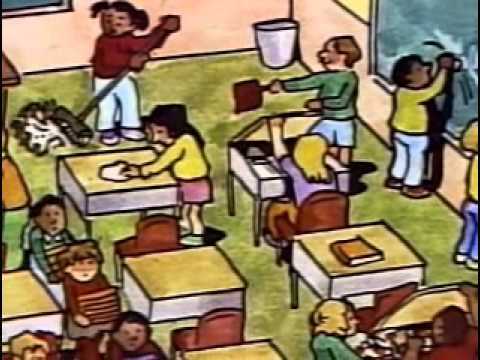 "Kid's Guide - Getting Along With Classmates" – Questions in English. Please ask them as Gaeilge. Word of the Day - "Respect" - Físeán. "Word of the Day - Respect" – Questions in English. Please ask them as Gaeilge. "Yes, That's Bullying" – Físeán. "Yes, That's Bullying" – Questions in English. Please ask them as Gaeilge. "Stand Up~ Bullying Commercial" - Físeán. "Stand Up~ Bullying Commercial" - Questions in English. Please ask them as Gaeilge. "Bully-Free Zone! Song" - Físeán. 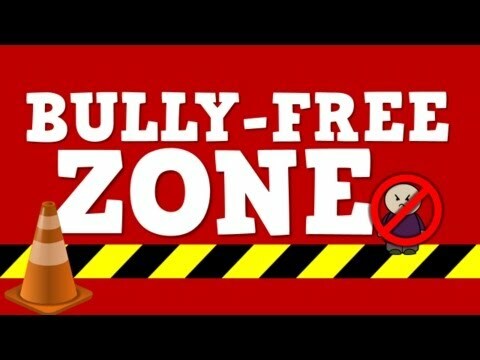 "Bully-Free Zone! Song" – Questions in English. Please ask them as Gaeilge. "Kids for Character: Respect" - Físeán. "Kids for Character: Respect" – Questions in English. Please ask them as Gaeilge. “Help French Toast STOMP Out Bullying™" - Físeán. 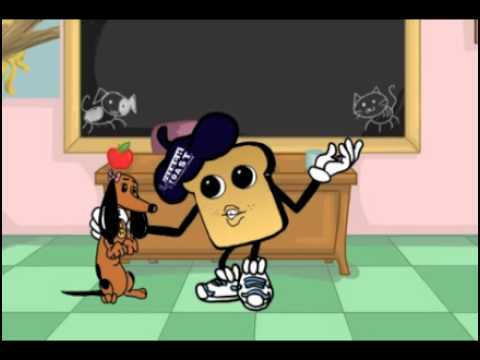 “Help French Toast STOMP Out Bullying™" - Questions in English. Please ask them as Gaeilge.